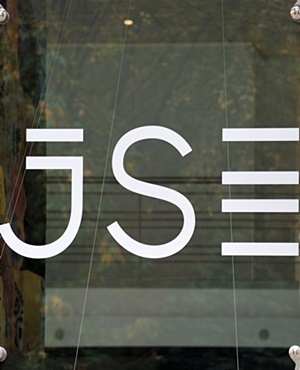 Johannesburg - The JSE gave up early gains on Thursday morning as weak fundamentals weighed on sentiment. Analysts said uncertainty ahead of next week‘s National Budget is beginning to take its toll. The All-share index, which was firmly above 50 000 points in early trade, lost all gains by mid-morning with all major indices down at that stage. The rand, which was supporting the share market, also gave up gains notched up overnight in early trade on Thursday, bucking a stronger global trend. By mid-morning the local unit was trading at 15.4900 to the dollar, down 0.16% compared with Wednesday’s close of 15.4650. The loss of momentum on the JSE was not in line with global markets, which performed strongly on the back of higher oil prices and the latest minutes of the Federal Reserve indicating that US authorities will slow down on interest rate hikes in view of worldwide market uncertainty. By mid-morning the All-share index was 0.34% lower at 49 849 points after reaching an intraday high of 50 434 points, a drop of almost 1%. The Top 40 index was 0.68% down at 44 443 points. The JSE’s initial gains were driven by the resources sector, but the index lost almost 1 000 points or more than 3% from its intraday high to trade 0.68% lower by mid-morning. The Financial index also gave up more than 1% of its initial gains, shedding 0.05% with the Industrial index 0.38% down. Gold also continued its massive correction after the spectacular recovery of recent weeks and was another 5.26% softer. Analysts said poor prospects for the local economy are beginning to weigh on investors. The latest shock is a report by the World Bank warning that poverty is on the increase in South Africa and that the economy may face a recession, particularly if its credit rating is downgraded to junk status. Investors are therefore becoming more nervous about the budget as it will probably be a key factor in the rating agency’s future decision on South Africa. In sharp contrast with the JSE, Asian stocks rose across the board on Thursday as crude oil extended gains on hopes that big producers will cap output, improving investor sentiment for riskier assets. Wall Street was also sharply higher on Wednesday, boosted by energy shares, but European stocks were only marginally higher. Crude oil remained the main market driver. US crude was up 2.1% at $31.34 a barrel following a 7% jump on Wednesday, after Iran voiced support for a Russia-Saudi-led move to freeze production to deal with the market glut that had pushed prices to 12-year lows. Brent crude traded at $34 a barrel. "While there has been some confusion as to whether 'support' equals action, oil traders are simply relieved that the world's fourth-largest holder of oil reserves is willing to cooperate," wrote Kathy Lien, managing director of FX strategy at BK Asset. Commodity shares were among the most volatile on the JSE on Thursday morning. Anglo American [JSE:AGL] opened more than 5% higher and traded at R104.60 shortly after the opening, but by mid-morning the stock was only 0.93% stronger at R98.27. The share gained more than 70% over the last 30 days. BHP Billiton [JSE:BIL] opened more than 4% higher at R170, but gave up all those gains and traded 0.47% softer at R162.06. Glencore [JSE:GLN], which gained more than 12% on Wednesday, was 2.44% down in mid-morning trade at R25.55. Kumba [JSE:KIO], which gained 48.9% over the past seven days and more than 96% over the past 30 days, opened another 10% higher at R68 on Thursday morning. However, all those gains were lost by mid-morning and the share traded 4.68% softer at R59.10. In the gold sector, Gold Fields [JSE:GFI] lost 14.25% and traded at R56.34 after the company reported a fourth-quarter loss as it booked impairments on operations in Ghana and Australia. The headline loss was $54m in the three months to December 31, compared with a profit of $21m the previous quarter. Gold Fields recognised $300m of writedowns in the period, related to the outlook for its Damang mine in Ghana and Darlot in Australia, investments and tax.